There are several important fluids used in your vehicle that are crucial for keeping it operating effectively. Regularly maintaining these fluids, and checking to make sure they remain at appropriate levels is part of your car’s general upkeep. These fluids may come under different names, but essentially do the same thing for your vehicle, and that is help regulate engine temperature. Radiator fluid, also known as coolant, is responsible for keeping the engine from overheating. Your radiator fluid should also contain antifreeze properties if you live in an environment with changing seasons, or extreme temperatures. By using one fluid with both cooling and antifreeze properties, you can use it year-round without having to worry about changing it at the beginning of each season. You will likely want to have your air conditioning fluid serviced at the end of the winter season to get ready for the warmer weather. Air conditioning coolant, also known as Freon or refrigerant, is the driving force behind your vehicle’s air-con unit. Make sure it is at required levels for optimal operation. Oil may be the most valuable of all your car’s fluids. Oil is essential for lubricating the components of the engine to prevent wear and tear, as well as overheating. Oil gets dirty over time, after continued use. Once the oil becomes contaminated, it is much less effective in providing lubrication and cooling the engine. Oil should be changed regularly to improve performance and maintain the engine. Your vehicle’s transmission can be very expensive to fix, if not properly care for. The transmission fluid is responsible for driving the transmission system and keeping it lubricated. The transmission acts a conduit for transferring the power generated by the engine, to the tires to get your vehicle rolling. Transmission fluid needs to be changed regularly to flush out dirt and debris, and to avoid system breakdown. Brake fluid is necessary to slow the vehicle to a stop when enough pressure is applied to the brake pedal. When the brake pedal is applied, the fluid gets pushed through the brake system, intensifying the force to bring the car to a halt. Brake fluid absorbs moisture over time and should be changed regularly depending on the type of vehicle you drive. The act of turning your vehicle is facilitated by its power steering system. The power steering fluid keeps this system lubricated and gives it the power needed to reduce manual effort for drivers when turning. It is recommended to change this fluid every couple of years to keep it working effectively. This is one of the fluids in your car that will need to be filled once it has been used up. It is a good idea to check wiper fluid levels if you are going on an extended road trip. This will ensure that you maintain maximum visibility, having the ability to remove any bugs and grime from the windshield. 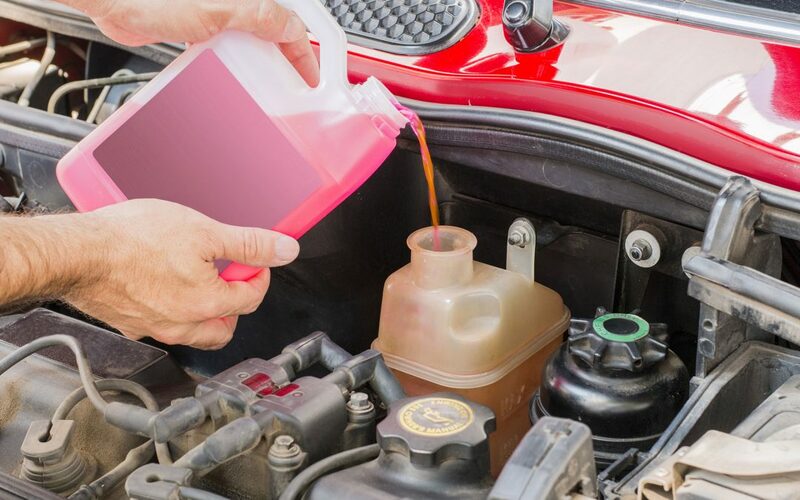 The professional automotive technicians at Valvoline Express Care can help you with all of your car fluid service needs in the Brampton area.